A new alcohol awareness campaign run by London’s three emergency services and backed by the Mayor of London and City of London Corporation launches today (Monday, 30 November). Today (Friday 27 November) the Care Quality Commission (CQC) published its report following a planned inspection of London Ambulance Service in June. A Barking and Dagenham, Havering and Redbridge scheme that provides emergency care to elderly people with minor injuries or illnesses while allowing them to stay in their homes has won an award. A new initiative which sees police officers prepared to respond to life-threatening emergencies launches next week, Monday 30 November. The next meeting of the Trust Board will be held tomorrow (24 November) in the Conference Room at our Headquarters, 220 Waterloo Road, London SE1 8SD at 9.00am. 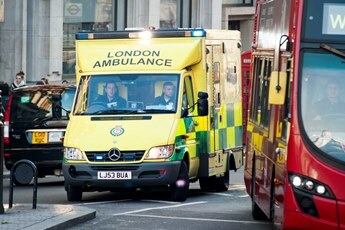 The number of seriously ill or injured patients in London has increased by on average 2,000 patients a month since August, compared with the same time last year.